WA Family Bushwalking Club. WAFBC. Family Bushwalkers WA - Home. 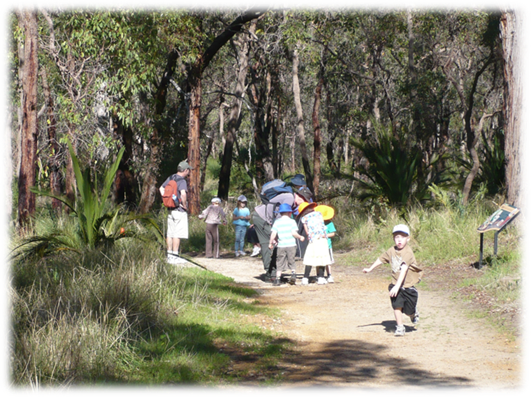 The West Australian Family Bushwalking Club provides opportunities for family activities that encourage appreciation and enjoyment of the outdoors. The club organizes bushwalks, camps, cycle rides and related activities that are suitable for families with children of all ages. The West Australian Family Bushwalking Club is affiliated with Bushwalking WA, Western Australia's peak bushwalking and hiking body. The WA Bushwalking Club is made up of a number of like-minded families who wish to introduce their children to The Great Outdoors in a safe and pleasant way. Currently, there are about 35 signed up families – but we’re always looking for more. Activities run by the club vary from simple/easy day-walks to multi-night hikes (along the Bibbulmun Track, for example), from canoeing down the Blackwood River to mountain biking, and spending 5-7 days camping on the south coast or in the Stirling Ranges during school holidays.